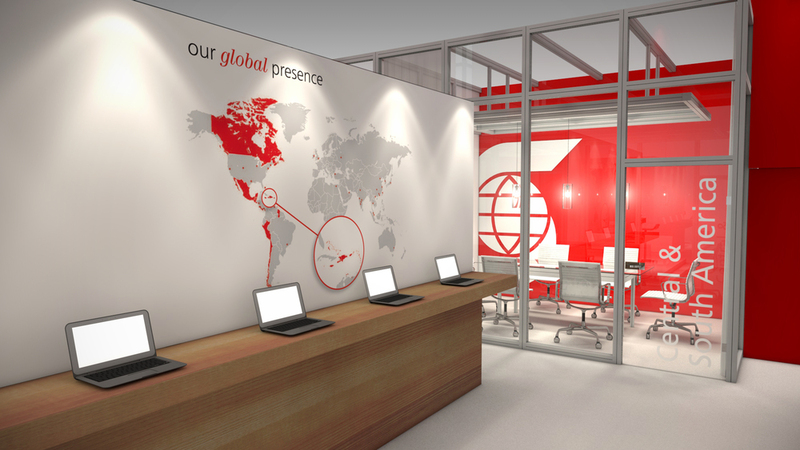 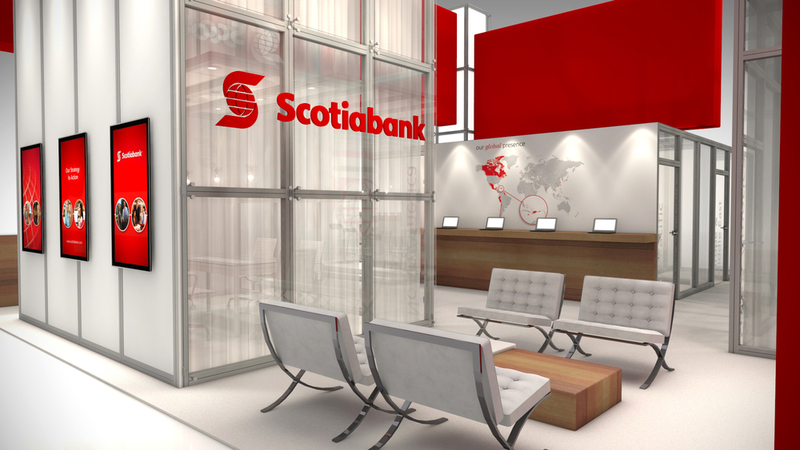 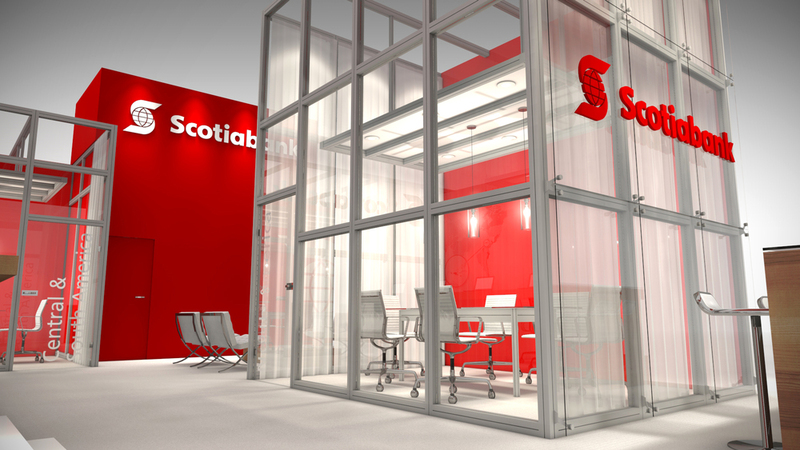 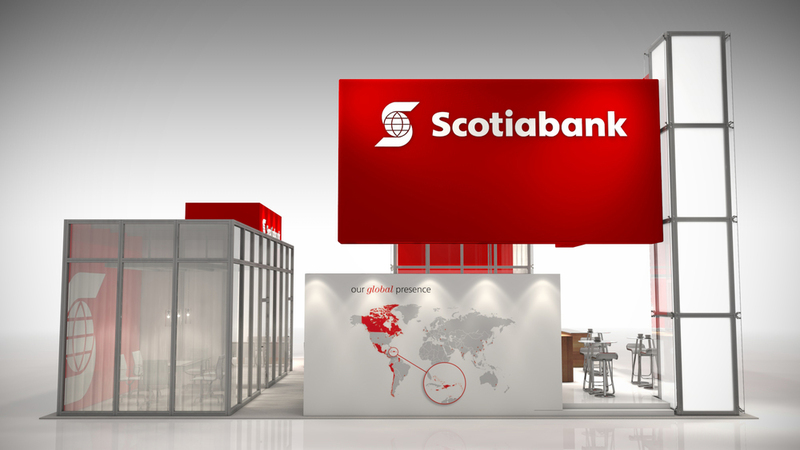 Scotiabank — Exhibit Solutions Inc. 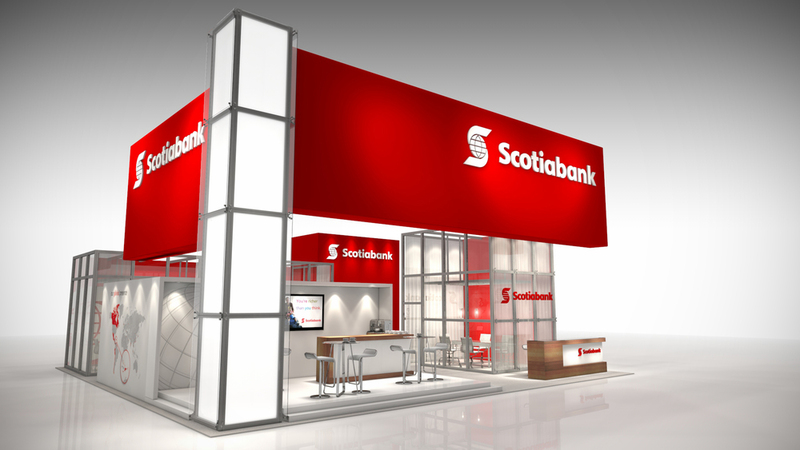 This 40' x 40' exhibit was designed to meet their three main objectives of delivering integrated communication, facilitating meetings, and creating a high impact experience. 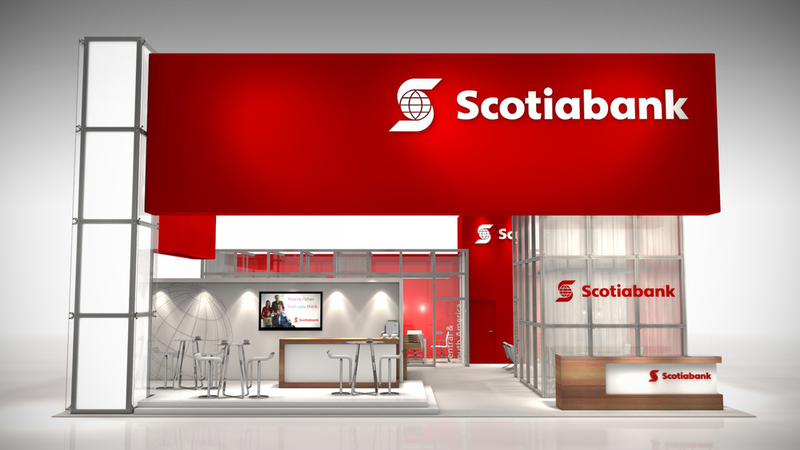 With a clean, sleek and modern booth - it showcases Scotiabank as an industry leader and innovator at SIBOS - the world's premier financial services event.